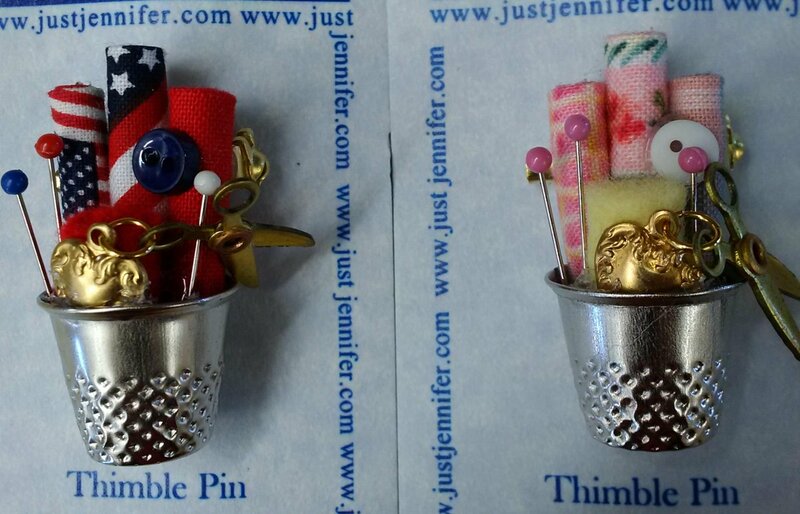 You will want to buy one of these cute thimble pins for yourself and for your friends! Each one comes with a thimble, mini scissors and pins with fabric. Each pin has fabric that varies.